Volcanoes are frightening. They can dramatically alter the local landscape, and change people’s live – normally for the worse. The best place to be is far away. But large eruptions can have wider impacts. The ash can cover regions a continent away, and sulphate aerosols can spread at high altitude around the world. The sulphate causes breathing difficulties – Laki affected most of Europe this way. The white skies reduce the Sun’s brightness and cause temperatures to plummet. The volcanic Ragnarok can last for years. Summers become like winter with snow possible at any time. Tambora gave us the famous ‘year without summer’. There have been several eruptions of similar or larger size in historical times. The culprit is not always known but marks are left in the ice cores, the weather records, and the tree rings. But can the effects go beyond a few years of bad weather? Can volcanoes change history? We will never know: we can’t replay history without volcanoes. But we can ask. This is volcanology applied to history, a proposed new science of volcanohistology. This is my question. 540 AD was a good time for the Roman Empire. This was a century beyond its fall, after the desolation of Rome. It was a miracle the Empire still existed, after Vandals and other anti-EU tribes had attacked, overrun, and dissolved it. But the Eastern Roman Empire, centred on Constantinople, had escaped the fury. Over the century it had slowly rebuild itself as the Byzantium empire, and now Emperor Juncker Justinian I sent out his generals to reconquer the Mediterranean. He had the advantage. His fleets dominated the sea and his armies were irresistible. The empire came back with a vengeance, conquered Carthage, entered Italy, and took Rome. It was well on the way the rebuild the old world. In some ways Justinian I was ahead of his time: his legal code made a particular point of protecting women against abuse. (In other aspects he wasn’t as helpful. For instance, farmers were made liable for the tax owed by any deceased neighbour.) A new and improved European Union beckoned. But Nature had other ideas. The height of the Byzantium (Eastern Roman) empire, under Justinian I. In the year 848 [536/37 CE] there was a sign in the sun the like of which had never been seen and reported before in the world. If we had not found it recorded in the majority of proved and credible writings and confirmed by trustworthy people, we would not have recorded it; for it is difficult to conceive. So it is said that the sun became dark and its darkness lasted for one and a half years, that is, eighteen months. Each day it shone for about four hours, and still this light was only a feeble shadow. Everyone declared that the sun would never recover its original light. The fruits did not ripen, and the wine tasted like sour grapes.” Chinese sources record that the star Canopus was not seen at the spring and fall equinoxes in 536. Temperatures plummeted and 3 bad years followed, reported from Ireland and China. Tree rings were the narrowest for 2000 year. In those days, food stores were limited and even one bad year could lead to famine. Several bad years in succession was a disaster. The ice core records leave little doubt about the cause: a massive eruption somewhere in the world had polluted the atmosphere. 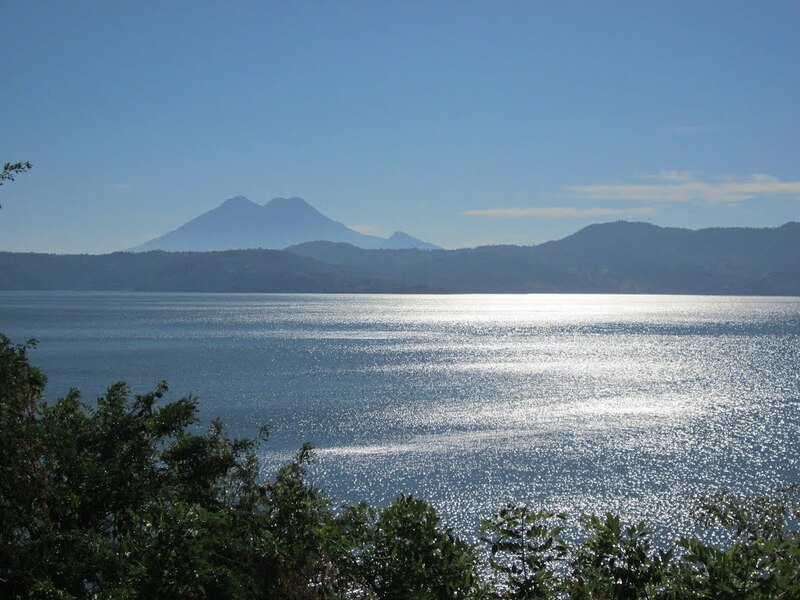 Llopongo, in El Salvador, is considered a likely source of the disaster, but the fact that the dust veil was only reported from latitudes higher than 40 degrees may be more consistent with a mid to high-latitude volcano. Iceland has an alibi (there is no evidence for any Laki-sized event around this time), so that the Pacific rim must be a prime suspect. But no arrest warrant other than Llopongo has been issued. Llopongo – the tranquility belies its history. This lake changed the world and contributed to tens of millions of deaths. Worse was to come. Just when things improved, a second major eruption occurred, probably in or near the tropics, in 540. Again, the source is not known, but the fact that it left traces in both hemispheres favours a tropical location. It is not impossible that the 540 (or late 539) eruption was in fact Llopongo. At 15 degrees north, it just about fits the crime. The next decade was one of the coldest of the past two millennia. Even trees wouldn’t grow. Recent modelling has shown that temperatures in Europe would have declined by 2 C, with Scandinavia from Denmark to Finland worst affected. There is evidence that the population of Scandinavia halved, but how much of that was directly due to the prolonged cold weather is not known. The Odin cult dates from this time. The cold weather only subsided by 550. But it seems that food production around the Mediterranean was not as badly affected as Northern Europe. For Byzantium, it was survivable. But much worse was still to come. A new disease appeared. It seems to have started in Africa, in 541, moving rapidly north. The first recorded cases may have been in Ethiopia, from where it spread to Egypt. In 542, the Justinian plague reached Constantinople. Both the Byzantium and Sassanid empires were hit. In the next few years, 25% of the population of the empire died, and perhaps as many as 10% of the world population. Justinian himself fell ill but survived. The disease has been identified as bubonic plague, carried by rats on board the grain ships, and mainly affecting coastal regions. Thus, disrupted food supplies which necessitated import of grain certainly contributed to the relentless spread. The empire was left impoverished and depopulated. The wars in Italy would continue but the man power and funds needed to make progress were now lacking. And a new wave of migrants came from the famished north. Soon, Constantinople itself became threatened by these invaders. It survived and the empire managed to hold on to its territory for a while, and even expand a little, but the glory days were gone. Soon after, Spain, North Africa and northern Italy were lost. The chance of a new world was gone. History was set back – by how much, who knows? Perhaps Europe could have skipped the Middle Ages, had the two volcanoes not erupted in tandem. Europe was not the only place to be hit. a massive cultural change took place in Central America around this time. 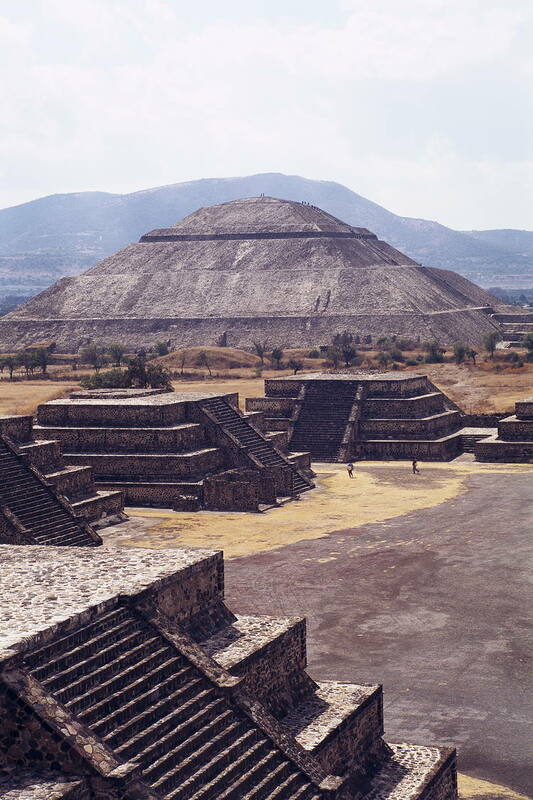 Teotihuacan, the largest city in Central America at the time, was abandoned and destroyed around 550: the timing seems hardly accidental, especially given that Llopongo is a prime suspect. Teotihuacan is truly impressive, a huge site near Mexico City with pyramids, a major street (in Mexican fashion called Avenue of the Dead), living quarters; much remained un-excavated. I remember the throng of sellers surrounding us tourists, providing a faint echo of what this city must have been like. Over 100,000 people lived in the metropolis surrounding the ceremonial city, a wonder of the ancient world. Only the ruins remain. All the main buildings along the Avenue of the Dead were burned in what appears to have been a major uprising against the ruling class. Further south, the Mayan city of Tikal in Guatemala suddenly declined, at the start of the Mayan hiatus which would last a century. without written records, history becomes conjecture. But the archeology shows the sudden lack of building activity and population declines. Society remained badly dependent on good weather. Bad winters could lead to people dying of cold – but bad summers could lead to starvation. Weather is weather – it changes from year to year, and like students, half of all summers are below average. (The UK labour party once made education its prime policy, complaining that too many schools were below average. People quickly pointed out how this statement proved the need for some more education.) Against a backdrop of slow worldwide cooling, bad years were inevitable. But in some cases volcanoes do appear to have had an impact: a society which could cope with one bad year might not be able to survive several bad years in succession. Cold winters are survivable – but years without summer means empty food stores. And the next such event came soon, in AD 626. The Greenland ice cores show quite a strong eruption in this 626. There is little evidence of this in Antartica, so this appears to have been a northern hemisphere eruption. There are confirming records. A dry fog was reported from Ireland and the eastern Mediterranean, for 9 months starting in the October of about 626. Ash fall in A.D. 626 at Constantinople. It is not known which volcano caused it, but the ash suggests Asia or Africa – perhaps Ethiopia. The impact on European weather appears to have been limited, but Asia was badly affected. Chinese records talks about frost disasters and famine from 626 to 629. One record from 628 mentions: “There has been a frost in midsummer. The sun had risen from same place for five days. The moon had had the same light level for three days. The field was filled with red atmosphere (dust storm).” Over the next three years, plague raged in the Middle East, one of several re-occurrences of the Justinian plague. Central Asia just before the AD 626 eruption. At the time, there was a powerful grouping in central Asia and southern Siberia, the Turkics, split into the western Turkic and Eastern Turkic (‘blue Turks’) Empire. 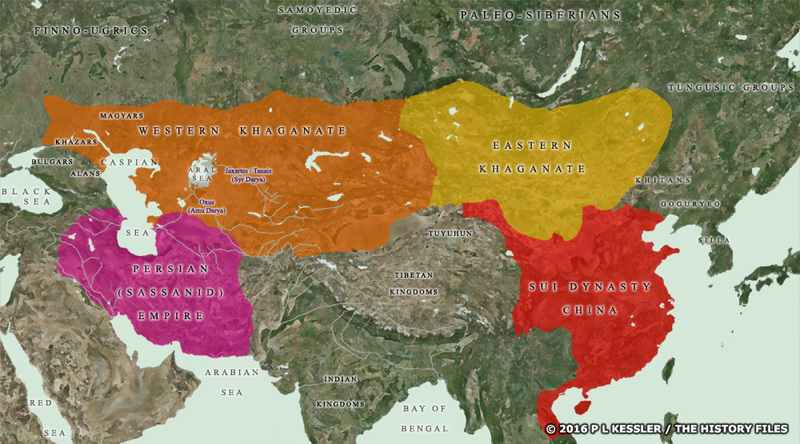 The latter bordered China, where it kept the Sui dynasty and subsequently the Tang Empire in check. The Eastern Turkic Eempire collapsed suddenly in 630, according to Chinese records due to the death of their life stock. The Tang empire took over, and obtained control of the silk road, extending to Iran. The slow Turkic migrations to the west started at this time. Over the next half millennium, this lead to the Ottoman empire and eventually the fall of the Eastern Roman Empire. There is uncertainty whether the ‘blue Turks’ are more closely related to the Turks or to the Mongols – migrations are complex events, and culture, language and populations don’t always spread together. But the 626 eruption cast a long shadow. Again, one can argue what would have happened without the eruption. Can the wheels of history really be derailed by one event? Or does it continue on a different route but in the same direction? The 626 event lacks the clarity of the one a century earlier. We also do not know whether the collapse of the Sassanid Empire in 636 was caused by the volcanic plague of 626-629. History is not an experimental science: we know the effect but argue about the cause. The next 600 years were relatively benign as volcanoes go. Eldgja was the big event, but happened at a time the climate was warm and so seems to have had little effect outside of Iceland. The calm could not last. In 1257, Rinjani in Indonesia blew up. It was followed by several years of exceptionally cold weather. The summer of 1258 failed to arrive. This is a typical characteristic of a volcanic winter: the winter may or may not be cold, but the summer is the main casualty. In 1258, an english monk reported: “The north wind prevailed for several months… scarcely a small rare flower or shooting germ appeared, whence the hope of harvest was uncertain… Innumerable multitudes of poor people died, and their bodies were found lying all about swollen from want… Nor did those who had homes dare to harbour the sick and dying, for fear of infection… The pestilence was immense – insufferable; it attacked the poor particularly. In London alone 15,000 of the poor perished; in England and elsewhere thousands died.” The 15,000 would have been out of a population of 50,000. A double mass grave found in London was recently shown to date from 1258 and 1259. It may contain as many as 18,000 bodies: the monk’s numbers do not appear exaggerated. Disease played a major role in the mortality. Germany also suffered famine. Did this eruption change history? Again, an unanswerable question. History is not an experimental science (politicians, take note). 1258 was the high point of the Mongol empire. It was on the verge of conquering the Middle East, and new assaults were being made on Europe and China. Three years later, after its first major defeat, it descended into civil war. Was famine to blame? The civil war did coincide with famine in Mongolia around 1260 – was this because food production was so poor? History just reports the civil war as something that happened, a change of fortunes. But who knows what could have happened? The Mongols were close to conquering the Egyptian Mamluks. Theirs was a young empire, recently established but which would last for almost 300 year. A change of the guard here at that time would have affected the world for centuries to comes. Further afield, but in the shadow of the eruption, in Indonesia Rinjani ended a kingdom. Indonesian records tell of an ancient capital buried under the ash. Elsewhere, the great Mayan city of Chichen Itza declined around 1250 but the exact date is disputed and it is not known whether this is related to volcanic weather. Beyond history, the 1258 weather reversal is sometimes listed as the start of the Little Ice Age, but this is more speculative. Changing history is easy, changing the climate is much harder. Eruptions over the next centuries are not too well known. 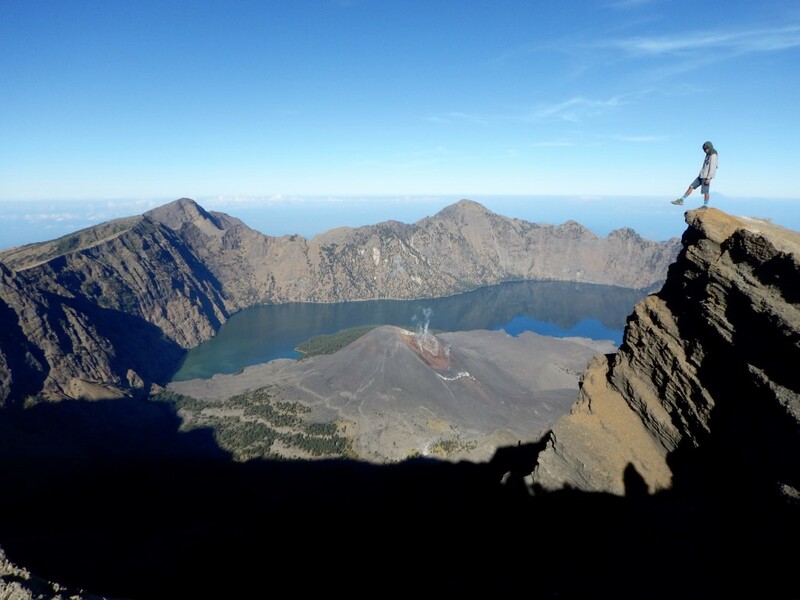 Ice core records indicate eruptions that were big enough to give a weather effect but none were as large as Rinjani in 1257: these eruptions were in 1276, 1288 and 1345. It was a bad century. The last one of these presents a significant date. 1345 was an extremely poor summer in Europe, cold and very wet. 1346 again was wet, although not as cold. This was the year of the famous battle of Crecy, between the French and the English, during a legendary thunder storm. This battle made Calais English property for the next two centuries, a military victory but perhaps not one of global significance. More importantly, 1346 was the year of the first recorded outbreak of the black death which soon came to haunt Europe. It began in the Crimea for where traders brought it to Italy. Plague is a summer disease – it spreads in the summer and disappears during the winter. Was the outbreak related to the volcano? There may well be a relation. For centuries afterwards, poor summers, famine, and pest outbreaks became closely related. It is not just people who are affected by poor conditions: animals, including rodents and their fleas, suffer too, and they have to go out and look for food. 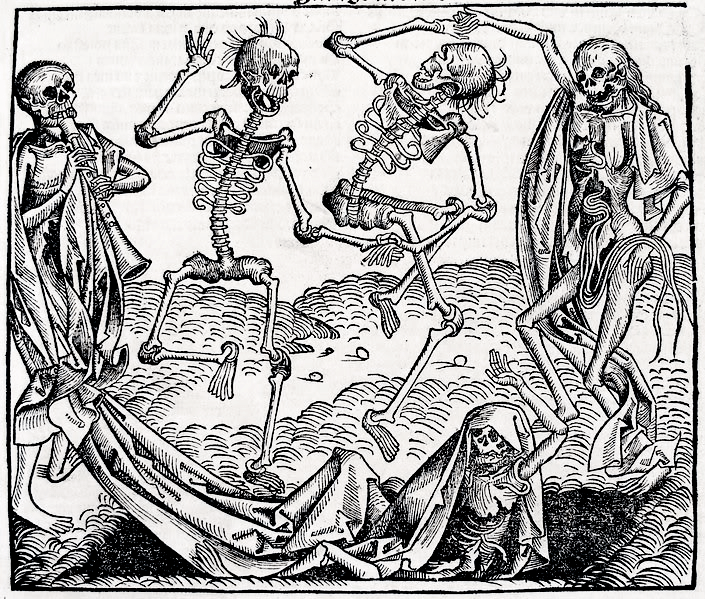 Over the next decade, the black death killed between 30% and 60% of Europe’s population. It devastated the continent but, like mass extinctions, allowed new things to develop. We do not know how Europe and Asia would have developed without it. The unknown 1345 volcano may have been the biggest agent of history of them all. The next few years, summers remained wet and the winters grew colder. Iceland became surrounded by sea ice in 1348. Only after 1350 did the weather improve again. But by that time, half of the population of Italy, France and Germany had died. It would be decades before recovery took hold. The social fabric of Europe had changed. Labour was scarce and therefore expensive. The feudal system became unaffordable. A social revolution was in the air. Would the black death have happened anyway? Did the volcano hasten an en event that was already unavoidable? Again, for lack of a controlled experiment this is an unanswerable question. Deadly diseases tend to evolve very quickly, and become a more benign over time. A slower initial spread might have given a less devastating black death. But this is speculation. The next major eruption was again a double: 1452/1457, with the second one especially massive and attributed to Kuwae (Vanuatu, its host nation, may be the only country with what appears to be a caldera on its flag). Oral records suggest that the eruption was preceded by five years of earthquakes. The earlier one is an unknown but also major eruption. Again, the weather was appalling, and this lasted for a decade. The first eruption was quickly followed by the fall of Constantinople. The Byzantium Empire was truly unlucky with its volcanoes. But it would be harsh to attribute its fall to this volcano. The empire had already been reduced to little more than a city state and was on life support. Further afield, Mayapan, the capital of the Yucatan empire, was suddenly abandoned at this time, but again it is not well known why and a volcanic aspect would be speculative. The location of the 1452 eruption is not known, so it is conceivable it happened in central America. This was among the largest volcanic events of the past 2000 year, but perhaps not one that changed history. The one place where there seems to have been an effect is in the Pacific where trade and commerce may show a century-long gap. Kuwae: once a strato volcano, now a gap between two islands. 1600 saw the large eruption of Huaynaputina in Peru, also with a large inferred impact on the weather. The great Russian famine starting in 1602 is often attributed to this eruption, when over a million people died. Russia’s tsar lost his job but this was perhaps of little historical significance. A similar sized eruption 1640 also left an unclear historical legacy. The next major event did have major consequences. Laki in 1783 polluted the air around the North Atlantic. The death toll in the UK alone due to breathing the poltuted air is estimated at 20,000. And that was only the initial phase. Dry haze led to the familiar sequence of cold weather, starvation, and plague: death and starvation moved across Europe. Three successive cold years followed by extreme drought led to collapse of food production. The French revolution followed in 1789. It is hard to deny the relation! Marie Antoinette famously showed the royal incomprehension of the fate of the poor, proposing cake as a substitute of bread. The French revolution ended as it began, with volcanically poor weather. The chaos of revolution had the familiar outcome of replacing a tyrant with a dictator, which wanted to make France great again. In 1812, Napoleon invaded Russia, a decision which brought his eventual downfall. Volcanically speaking, this was extraordinarily poorly timed. A major eruption, again of unknown location, had happened in 1808 and led to years of bad weather. Many paintings depict his withdrawal through the deep Russian winter, which few of his army survived. It was a bad winter in Europe. But perhaps the bad summers before had been worse. Russia fought a ‘scorched earth’ tactic, an effective strategy if you care little about your own people and if resources are already scarce to begin with. Napoleon would have done better invading in a better year. Whether it changed history depends on whether it affected the outcome of his campaign. As Alexander found, imperialists tend not to accept any borders, not even ones of their own making. Eventually, they push too far. But even if Napoleon’s eventual fate would not have changed, the map of Europe would have decisively changed. And Tambora? The year without summer happened when the world had grown more resilient to a bad few years, with better food security. But not enough: especially China was badly hit, and cholera overran South Asia. In Europe, the year without summer gave us Frankenstein and Turner, a gloomier way of looking at the world. Did it change the world? It certainly changed the way we looked at ourselves. How about future history? There has been no real eruption of significance since Tambora, 200 years ago. How well would we do now? It is hard to say. But with a growing world population, it is a challenge to keep the food production high enough so every one can eat. Models of food production shows we can do it, but only just and with little margin. Throw in global warming which will impact yields especially of warmer regions, and we are pushing the boundaries. A bad eruption in the next 50 years would not be an easy time. The problem with volcanoes is not the eruption itself, it is the resilience of the economy. The ejecta and haze go for the weakness. If you think bankers can be dangerous, wait till you see a farmer. He is the jugular of the world: interfere with him at your peril. Armies march on their bellies and campaigns fail for lack of food. Volcanoes reveal the hidden precariousness of their world. Cotopaxi 2031, anyone? In the past most land was down to animal crops, either grass or arable forage eg roots. Now the problem with the major crops (rice/wheat/maize) is that they are highly vulnerable to summer cold, and summer frost is fatal. That means no harvest and no food. In long term organic systems weeds are the overwhelming problem so crops in temperate climes are typically less than 20% into a wheat/maize cropping. Rice is better because the water phase kills almost all the weeds. None the less in the past most parts of the world would have 80% of the land for feeding animals. Fortunately livestock can feed on immature (due cold) plants even if they do not come to harvest and more importantly the livestock population was great enough to manage this area. Today most livestock relies on cereals for a significant part if their food intake. Guessing, perhaps <10% for sheep, ~20% for beef, ~50% for dairy and 100% for pigs and poultry. What little cereals would come to harvest would be entirely consumed by people and sadly the rest would probably be ruined before anyone realised the problem. The the population would eat all the livestock and there would be none left if the next year proved equally bad. Seed may well be unobtainable. Huge numbers of people should die of starvation, but I doubt that would happen in the west, so the food would run out and pretty well everyone would die. Of course unless draconian measures were taken to feed those in essential industries pretty well everything would come to a halt. No power, heating, transport, water food, medical facilities and so on. It would be a very nasy shock for nearly everythone. Then people from the south would come looking for conquest, and slaves would be required…. Why the south? Less badly affected and well endowed with autocratic rulers capable of taking the truly horrible decisions that are indisputedly needed in a rather short amount of time. Very interesting! Could Krakatau also be included? On another note, Sheveluch was raised to Red alert for a few hours last night. “Emperor Justinian I send” sent? it is probably a brown rat (image wasn’t labeled) but of course it should have been a picture of a cute and deadly flea.. Very interesting and we’ll presented Albert. One volcano which springs to my mind is Toba. Although it erupted. 70000 ish years ago. This must and would have had a huge impact on human and animal civilisation around the southern hemisphere. It could be said that there is little evidence to prove this due to the huge ash layers it produced. Toba is described in a past post: http://www.volcanocafe.org/the-toba-supereruption/ Yes, it had a big influence although not as disastrous as sometimes claimed. But it is prehistory and a but beyond my intention with this post. Carl has pointed out the impact of African volcanoes. * Iron smelting — note how easy it was to establish local iron production when colonizing the New World. If there were to be a future dark age I expect that elites would still have electrification and would put hot-air balloons to use as sentry towers and sniper roosts. It’s not at all hard to get a hydro plant up fairly cheaply if you have a river with a strong enough current and sources of copper and iron ore nearby (and any ruin of a major 20th century city would suffice for copper and iron ore for quite a while). I’m a secret pessimist. Doing a few ad hoc inventories of the availible food calories per foot of shelf space in grocery stores, then estimating how many people a store can feed over a few days before it runs completely out show that the “just in time” supply chain is gonna kill a lot of people when it breaks down. My guess is that in about 4 days, humans will revert to roaming bands of hunter gatherers. Wandering around is something we are built for. I’m far from a doomer, but a certain part of me can relate to doomers who at least get a supply of food in their home for unforseen circumstances. I don’t think things would break down entirely, at least not immediately. Globalization has made famine and issues of this nature far less of a worry, but it would raise costs greatly, and would likely impact impoverished people of developing countries quite a bit. Of course, this is all depending on eruption size. A VEI-7 eruption like Kikai in a bad location could presumably be a country-buster in many ways, which would have major global ramifications that would make most current events seem extremely small by comparison. Related to Kikai, it supposedly had some major ramifications for the evolution of life as well as human culture in Japan. In UK the supermarkets have two weels supplies in stores or storage. Beyond that time the foodstuffs are still in the ground or in transit from somewhere. 40% of UK food is imported.Nowadays it is not uncommon for the supermarkets to be used as a family’s larder and refigerator- they buy just-in-time too. In UK supermarkets have two weeks supplies in their stores and warehouses. Beyond that period food is still in the ground or in transit. 40% of UK food is imported. Nowadays it is not uncommon for a household to use their supermarket as a larder/refigerator. Any disruption to that system will be a social disaster. It is the antithesis of resilient. My self justification for my opinion is that I’m a realist. I’ve been in post hurricane situations where a sack of potatoes got me through until normal commerce was restored. I am in essence an optimist. The problems we are facing are solvable. It will take decades of effort, but we are already making progress in places, much of it as a result of government policies. Global heating is going to be a massive problem, but we know how to limit it, and can work on how to manage the heating that is already inevitable. Volcanic eruptions are bad, but it is a matter of food supplies and distribution. The one thing that makes me extremely concerned is when the people who are supposed to be in charge deny the problems. Which law of thermodynamics do they not believe in? I am curious to know whether there is any volcanic connection with the collapse of the Anasazi in the US Southwest in 1275 or so. I’ve read articles that blame the “Great Drought of North America (1276-1299)” but wonder if the drought was coincident with any major eruptions. The closest I find are Quilotoa (1280 VEI 6 but a long way away), Mono-Inyo (I think it had quite a few eruptions about that time but none very large) or maybe Sunset Crater (Flagstaff, AZ 1085? sizeable and close but 200 years off in time). I’m also wondering if a long-lasting fissure type of eruption might have a historical impact yet not be notable in VEI size. There were eruptions in 1276 and 1285 in the ice core record but not known which volcano. The great drought is too long to be directly linked to a volcano. But there could be indirect links, e.g. changing ocean currents or changing summer ice cover in the Arctic. Living at an island I wonder how much harvest og seafood would be impacted? Fish, crabs, lobsters, shrimps, etc can quite easally be collected all year around. However, if climate changes dramatically…….? In mobile bay, if the conditions are right they will come and jump into your bucket. Yes, the one good place to be would probably be on a well-sheltered tropical island. Ample food nearby and not a big enough resource to steal. By the way, this was a really good read Albert. Volcanoes always have and always will affect human history in my opinion. We haven’t seen anything of the size that can cause an effect on us in recent times, but at some point in the future, we will to some degree. After months ( more years cause i was questioning this standing on top op vesuvius years ago)of research I have found some information, about vesuvius if the somma was present before 79 a.d or not, it appeared to be present before the “79 ad” eruption. But it would not surprise me if the previous government had made a similar idiotic statement, so poor are the nations Maths skills. You should see how my current performance targets are calculated, hopeless! It was in the Labour manifesto of 1997. (It had something like ‘not enough schools are like the best. Too many are below average.) But I would not be surprised if it has been repeated by others. The conservative campaign of that year also had a math howler, so Labour had a point that education needed improving. ‘Manifesto’ the first casualty after the election is over! Sadly UK maths is at deplorable standard. Worse ‘experts’ are considered the most unreliable people, hugely below ‘some man in the pub’. This explains a lot. However the real problem is middle class parents wanting their little jimmy to get a well-paid job after getting the same excellent degree his parents have. Unfortunately intelligence is rather poorly inherited so little jimmy is quite likely to have an IQ of 95. In the UK we need to accept (seriously non-politically correct statement) that only a tiny minority of children have the aptitude or interest to do a seriously academic degree. Maybe 10% maybe 20%. These probably need little in resources, a room and a half-decent teacher and basic science provisions. The funding needs to go to the other 80-90% who need to achieve an education to allow them to achieve the most in life that they can (from plumbers to electricians to hairdressers to mid-management). Farmeroz, who lerned his maths in a poorly heated asbestos ex-military hut and started his first physics lesson building a basic apparatus for understanding levers (which was used by later classes for years). Ita amazing how much physics you can learn using a meter rule, some string and a bag of heavy washers…. PS I am hugely dyslexic, as are my kids. I have taught children like you. Always humbling moment when you realise you are working with a greater mind than your own. I have worked in several countries education systems. The models are no longer fit for purpose. More apprenticeships would be a start and an end to memory exams. Very good review of volcanoes and historical climatology, and its implications for the present day.Has anyone seen anything trying to link the collapse in population in the Mississippi drainage between the mid 18th century and circa 1830 to the volcanic events of 1809 and 1812. I know that smallpox is also implicated but that population had already been exposed to smallpox via Mexico much earlier, and volcanic-induced famines tend to exacerbate epidemics. Shouldn’t it be Volcanohistoriopgraphy rather than Volcanohistology? Histology is the study of living tissue – a branch of medical science. I didn’t know anything about the population collapse there in 1830. 1830 was the year of the Indian removal act, effectively banning the Indian population from much of the area, to make room for cotton growing. Maybe there is no need for volcanic help..
Could someone possibly please explain what could have caused this signal on La Palma yeterday there is no report of an earthquake .To me it does look like an earthquake signal ? I don’t know what this is but it lasted for 45 minutes. Not being an expert in any way whatsoever it seems to me that the waveform on the latest M4.2 quake has an initial movement opposite to the quakes during the collapse of the caldera. These plots are from during the eruption and draining (Nov Dec 2014) and then after the end of the eruption. The initial movement of the quake went opposite once the draining ceased suggesting the quakes are from inflation instead of deflation on the ring fault. Anyone with expertise here that would like to comment please, but it sure looks to me the initial movement on this quake is downwards suggesting it matches the change of direction after the eruption or opposite to the quakes during the draining and collapse phase??? Wouldn’t this suggest the plug is rising not falling? Mike Ross posted a very imformative comment on the (“other”) Iceland Geology blog yesterday. Your observations and his information bear each other out. And I mentioned how it would appear that the post-Holuhraun settling phase has finished and now it’s only fuelling up for the next eruption. 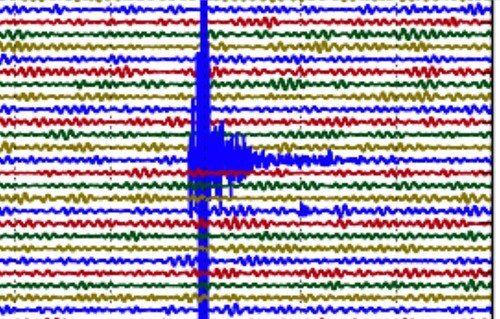 This to me looks like a quake with micro quakes if its not an earthquake could it be noise related maybe a landslide or something else. ? Given the time and duration, my guess would be road works, obviously at some distance. sorry for my english. i’m concerned by this term: histology. in what sense did you use it ? It is a made-up combination of volcanology and history. Martha pointed out that histology is already in use for the study of living tissue, so it wasn’t made-up enough. She suggested volcanohistiography instead. A new article is up about Strainmeters! Could this be a result of some VEI 7 eruptions? redacted – admin. This is not the best site for religious discussions. It tends to bring out responses which risk breaking the house rules. Tenuous. There are some writings in the bible which may well recall volcanic eruptions (or burning mountains) but this does not seem one of them. Apologies for keeping the volatile thread alive. The Dead Sea and region are part of a pull-apart basin, structurally similar to the Salton Sink in California. 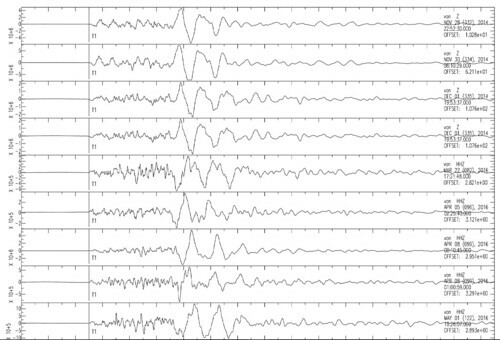 Like the San Andreas, the responsible fault is capable of some fairly intense quakes. Historically, it has been very energetic when it releases. As for High VEI events… I don’t know of any in the records. Hi, my first post here. For the 626 event, the White River Ash eruption (VEI 6) from Mount Churchill might be a good candidate, IMO. This may be possible. There are two ash layers, with the youngest one dated to about 860 AD. The older one is thought to be 500 year older but this is probably uncertain. These were big eruptions. Hello everyone, and sorry for writing this here, but in more appropriate posts the comments were closed. I am a journalist working on a project about ICELANDIC VOLCANOES. In particular, I’m collecting facts, stories and legends related to them. It’s not a strictly geological thing. For example, I’ve already included in the project the legend of the witch who gave her name to volcano Katla, the story of the German explorers who disappeared in the Askja caldera in 1907 and the one of the plane that landed on Bardarbunga in 1950. As you can see, the volcanoes are not necessarily the protagonists of the action; sometimes they’re simply the setting of the action. I thought this was the right place for asking something like this. If you have any kind of suggestion, please reply to this post or send me a message. Thank you in advance. You may want to repost this in the most recent post. People don’t mind off-topic questions and it is more likely to be read there. Thank you. I paste my comment there!